Spanish Without Limits (Espagnol sans Limites) is a school with an enjoyable and effective approach to learning Spanish. Our highly talented and enthusiastic teachers come from Latin America and Spain putting you in direct contact with the beauty of all Hispanic cultures. Spanish Without Limits: Offers services in Longueuil and Laval. We offer private Spanish classes and Spanish classes for corporations. Our Spanish courses in private, semi-private or in a group are for kids as well as for teenagers, adults and employees of a business that have to learn and master the Spanish language. Spanish Without Limits also offers a translation service in Spanish, English or French. Your tuition fees at Spanish without Limits are entitled to a tax credit. Our school is recognized by Revenu Québec and Canada Revenue. Following your request you will receive a receipt for tuition. 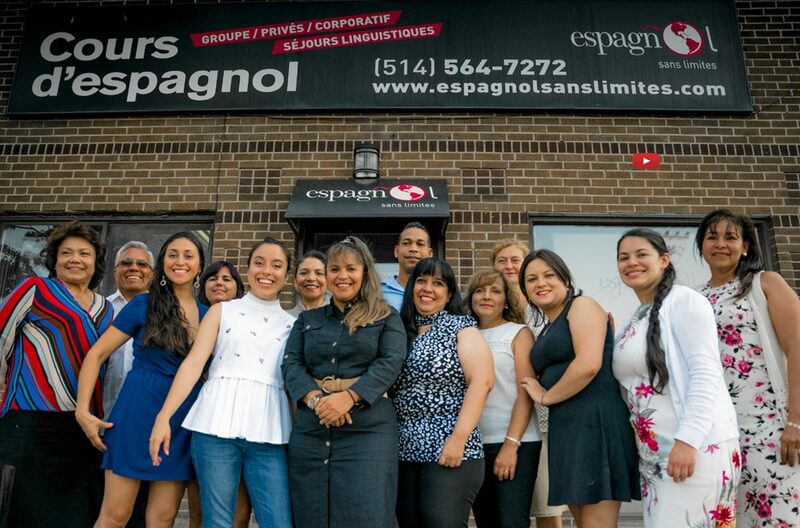 Whether for cultural knowledge or travelling, learn Spanish in Montreal, Longueuil or Laval with “Espagnol sans Limites”!